I'm with Walchit on this, the ledgardener.com site really makes it worthwhile building your own. 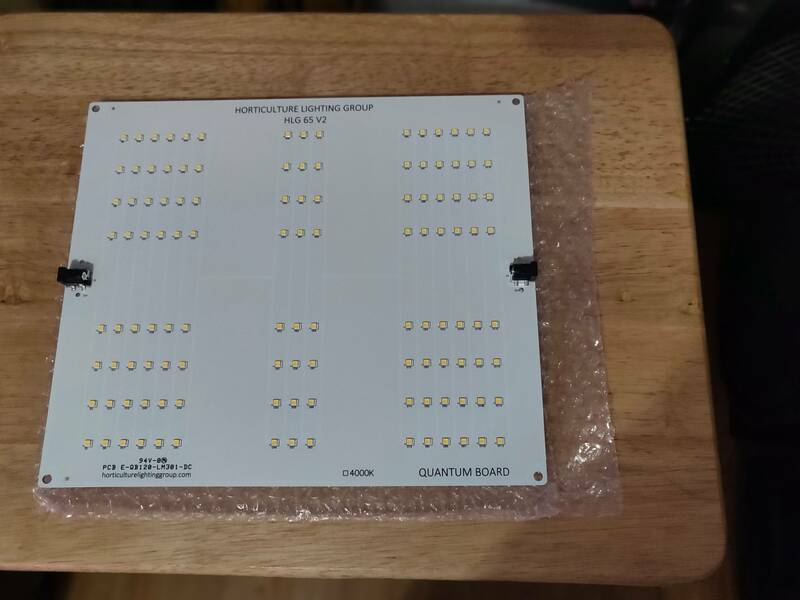 I built a rig with 4 2-feet strips, which is the equivalent of an HLG QB288 quantum board, but, in my opinion, with a much better spread as mine is a 65x43cm rig. Currently using it in a 2x3 and have pretty much every single square inch covered. Not bad for a 100 bucks and a little bit of elbow grease. With the site's calculator, you can hardly go wrong with driver selection etc. Still trying to make up my mind. Wish some of the purple light people would have chimed in. Like, 90% of the time I'm looking for a more effective spread rather than high penetration light intensity, so this makes a lot of sense to me. The decision really comes down to what your application will be and whether your looking at multiple lights for different applications of fewer fixtures covering most or all applications. Cool to know about the site as well. Should be interesting reading. Absolutely agree it depends on your application! I like the flexibility you get with these, as you can mix and match strips, and even exchange them during the grow to match exactly what you want. Once I managed to get my head around the driver selection and parallel wiring (thanks to LedGardener), it all fell into place. Good stuff Sinn! Would really like to hear your opinion of the 65 once you've put it through the paces. Seems to me like it might be about perfect for your 2x2 and very efficient too. Was thinking 2 in a 2x4 would also be a good match. I hope the 65 works out well for you. If it's not too late, I'll chime in for the purple lights. 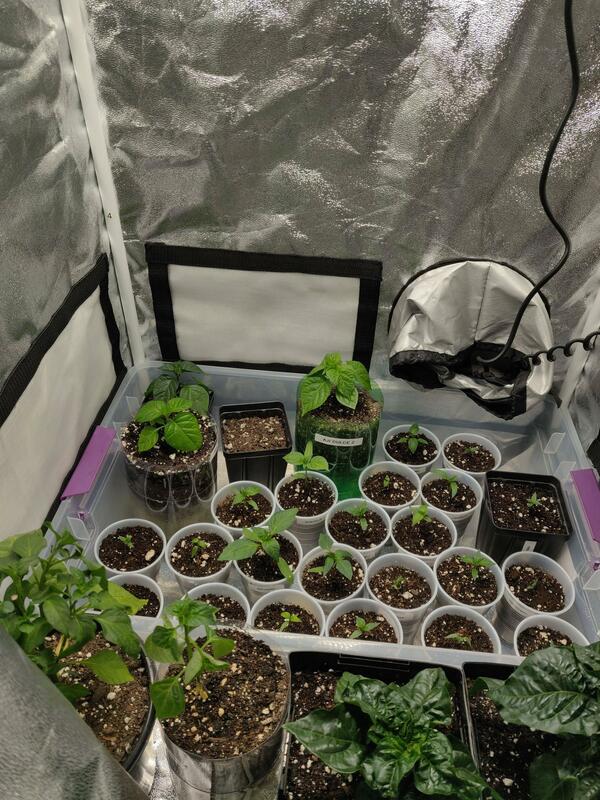 I have an 8'x8'x6' tent in an unheated garage packed full of super sweet cherry tomato plants (10) and super hots (7 of a mix of Carolina Reapers, Ghosts, and Trinidad Moruga Scorpions). The plants were moved into the tent as transplants. They're almost all producing fruit now. I have one "800W" Bestva LED light on each side of the tent. They seem to be a lot like the 600-1000W lights you posted. 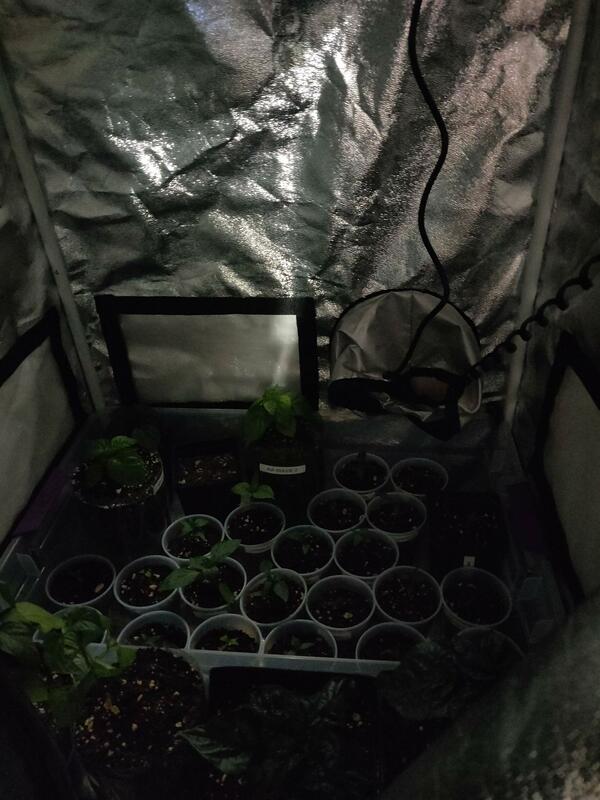 If I'm not mistaken, I really should have double the light for my area at this point, but the biggest factor(s) affecting growth and flowering to me seems to be pot size and temperatures. These lights have more than earned their keep so far. Edited by MakeIt20, 20 March 2019 - 09:44 AM. I have a HLG100 and it works fantastically. I have been thinking of adding an optic 1 or and hlg 65. If your meal doesn't fight back, is it worth eating? Any thoughts on something like this for seedlings? I am thinking about replacing a t5 4' fixture with something like this. I'd avoid it. Although they use the terms full spectrum and xxxxK light temperature, it's not really a full spectrum light. It looks like they posted a spectral analysis as the last image. I'd look for something that integrates a few different LEDs into a light with a broader spectral range. Just my opinion.